We will be collecting cds, dvds and other necessities for the soldiers stationed overseas. We will pack and ship the boxes to servicemen and women who are part of the Forgotten Soldiers Program. 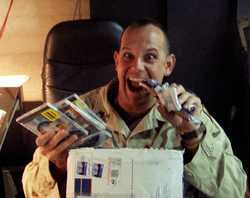 Servicemen and women need basic toiletries like tooth brushes, tooth paste, tuna in plastic packs, combs and shampoo. We will also ship them a sampling of new music that they can enjoy! 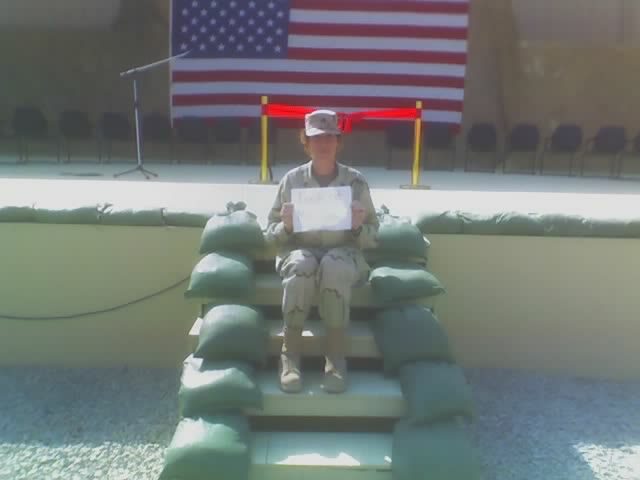 The last time we did this project, we received so many photos and letters from the soldiers in Iraq telling us how much they appreciate the items and our support.If you have items that you want to contribute before April 25, send us an email and we’ll give you the address where to send the items. CD samplers are greatly appreciated due to their size and weight!